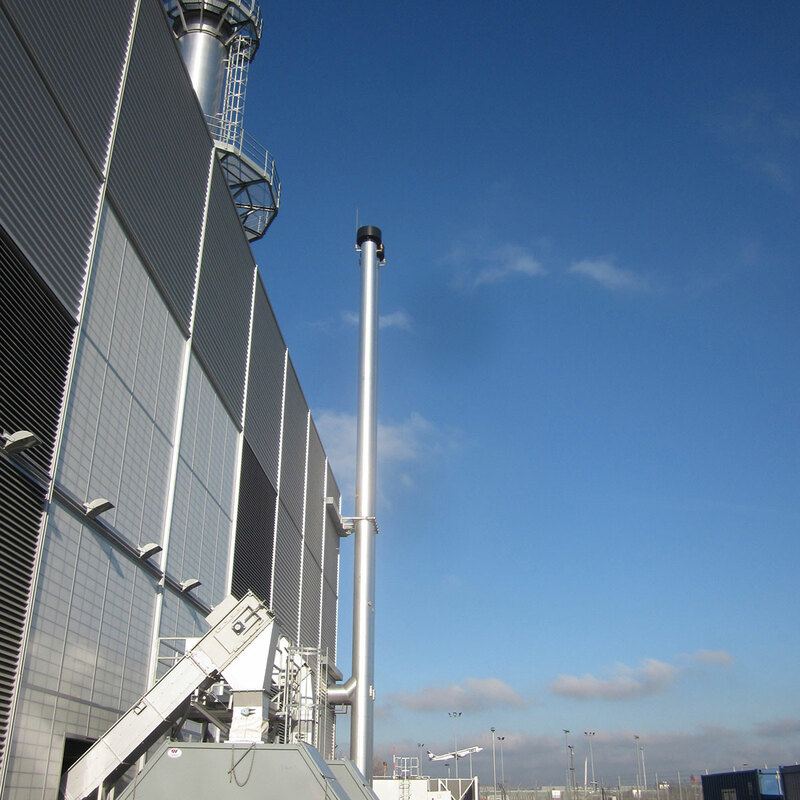 and CO2 reduced power generation. 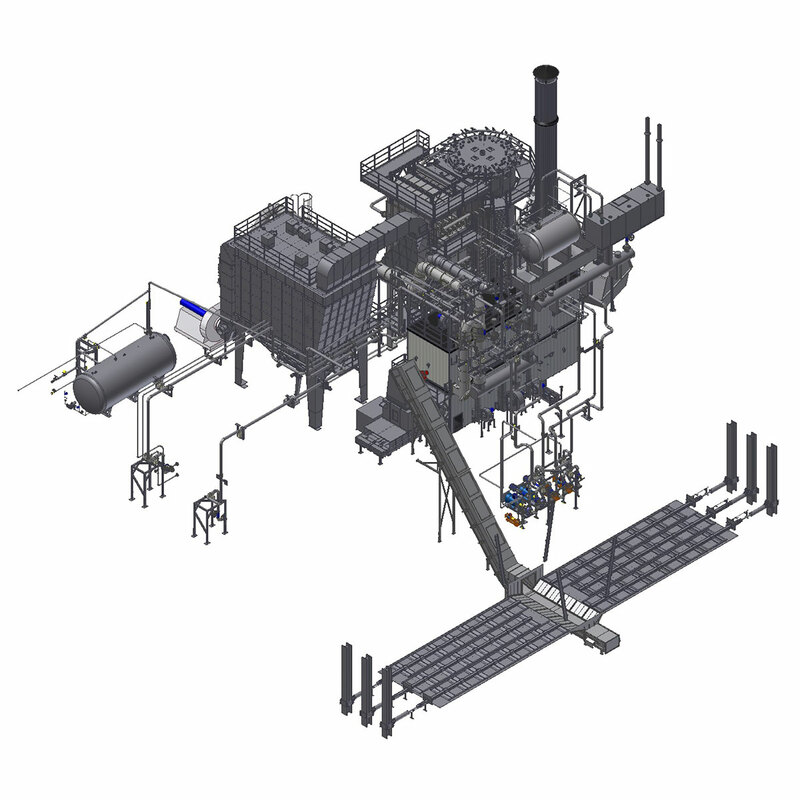 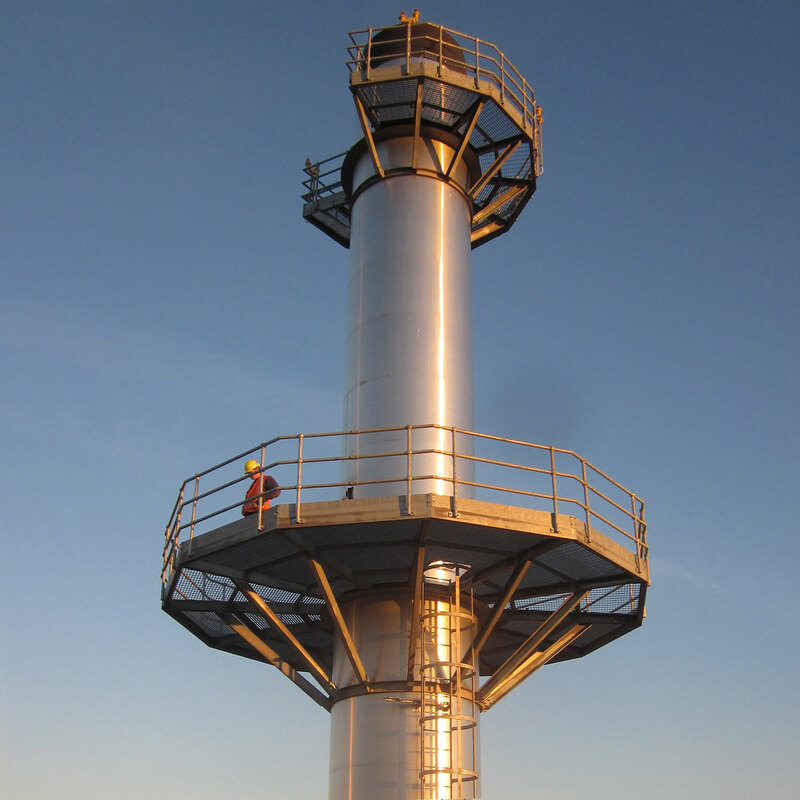 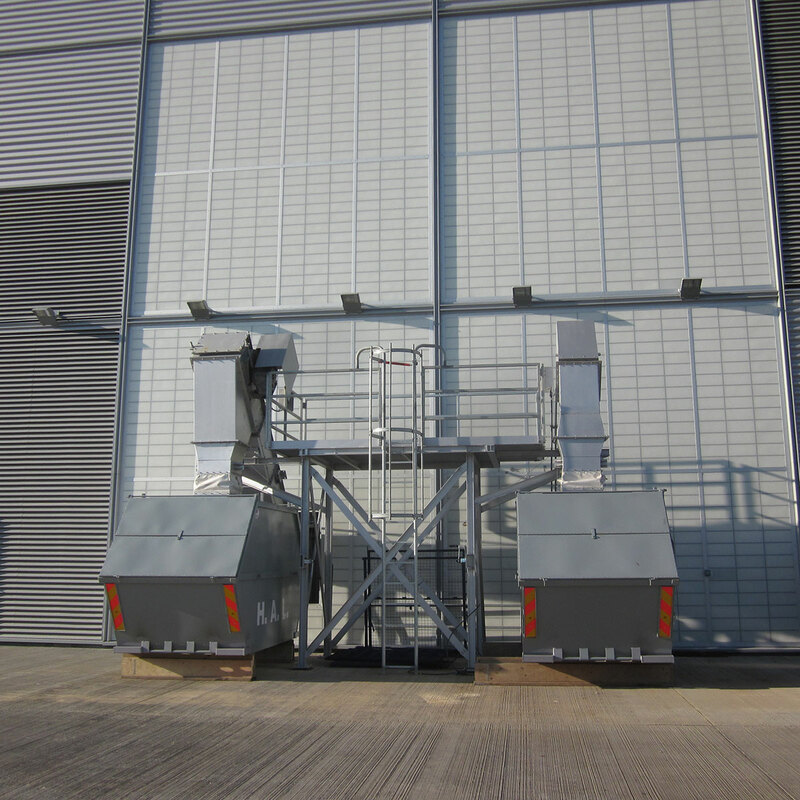 Therefore Heathrow Airport Ltd. choose technology of a solid biomass powered thermal oil plant with 11,5MWth. 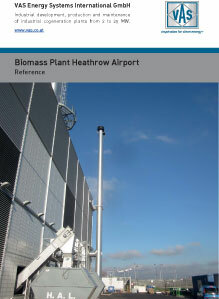 Terminal 5 and 2 are connected by two new installed thermal conductions (both running below the two runways of the airport) to the within the south of airport area located Biomass Energy Center. 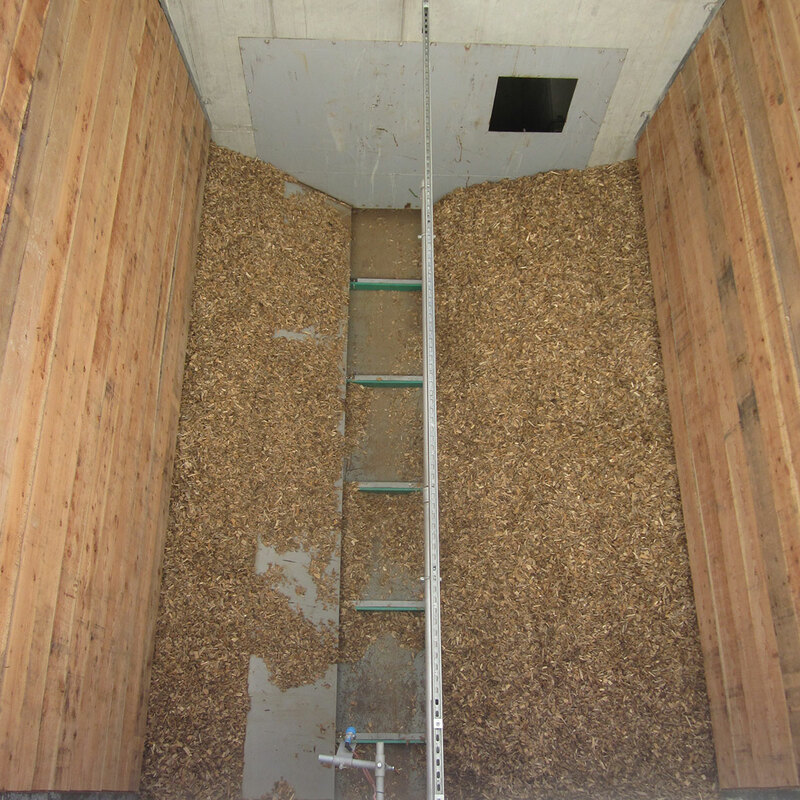 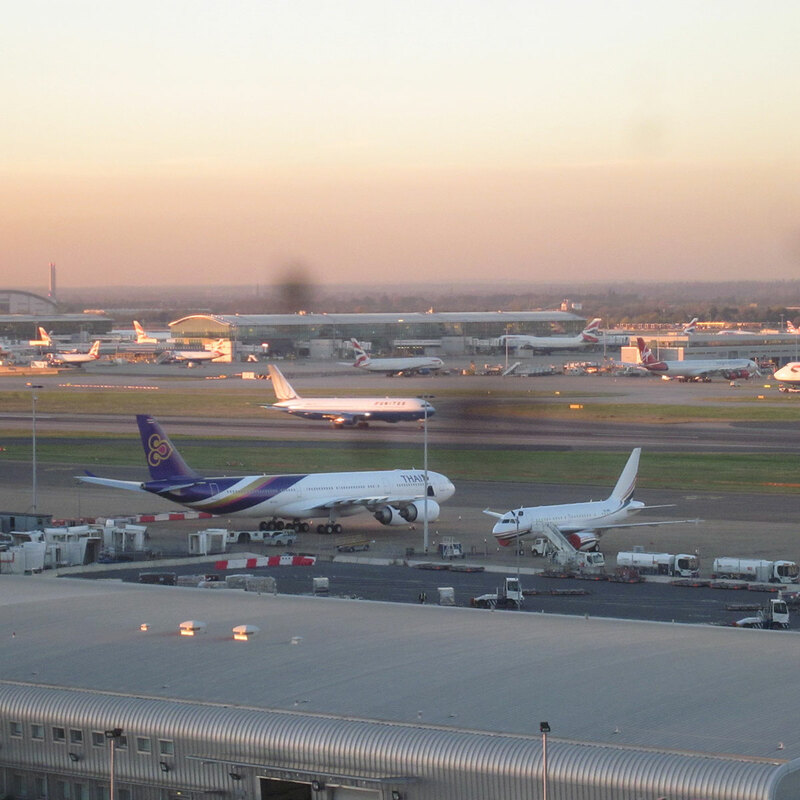 Heathrow Biomass Energy Center covers it`s fuel demand (2,8tons @ W30 per hour at full load) of the near forests around greater London area and signed a fuel delivery contract with a local supplier for next 15 years.